marry a man who she had been dating for 3 years. was unforgettable, “- says Shelby. Close people really wanted to help Shelby, but did not know how. Meanwhile, the day of “wedding” was already quite close. 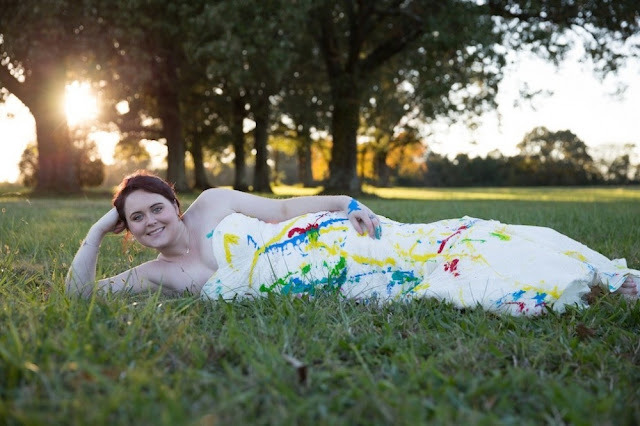 Then the wedding photographer suggested her to make a happy photo shoot and to make a good fun of her dress. Shelby’s father even took for the photo shoot cigars and champagne. Shelby decided that bridesmaids should be with her that day. And the girls were absolutely delighted with this photo shoot. Despite the fact that Shelby broke up with her boyfriend just a week before the wedding, she did not lose heart and inspires others.